The Hunting Dynasty has been recognised as an “Agency of tomorrow” on Andshakers.com by David Shearer, Senior Vice President and Executive Creative Director of MRM West USA/global responsibilities Microsoft. 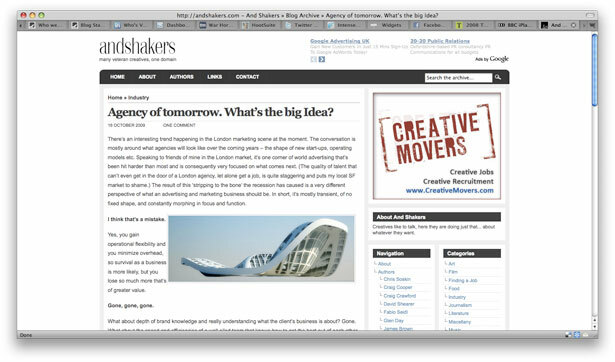 David regularly contributes to andshakers.com – the self-styled website hosting ‘many veteran creatives, one domain’ – most recenty chewing the cud on new agency operating models. He praises The Hunting Dynasty’s foundation built on “marketing with purpose beyond ‘share-of-basket’” .